[VIDEO] The Mason County Commission is moving ahead with plans to ask voters to approve a three-tenths of a percent Public Safety Sales Tax. This increase in sales tax is estimated to general $1.3 Million in additional revenue for Criminal Justice purposes only. The funds would be split between the County and the City of Shelton. Under state law, 60 percent of the funds go the County and 40 percent goes to the City. During a briefing Monday morning, the County Commissioners voiced support with placing the measure on the August Primary Ballot. Although not required, the County Commission will be scheduling a public hearing on placing the measure on the ballot for May 7th. Mary M. Knight’s Kaylee Sowle won four events and Austin Fries won two events at the Chehalis Activators Classic. Sowle won the girls’ 100 meters (with a season record time of 12.91 seconds), the high jump, the long jump and the triple jump (with a personal record distance of 36 feet, 3 inches). The Fries won the boys’ high jump with a personal record height of 5-foot-8 and took the triple jump with a season record distance of 39 feet, 3 inches. Fries also placed 2nd in the long jump with a person record distance of 19-feet 2.5 inches. 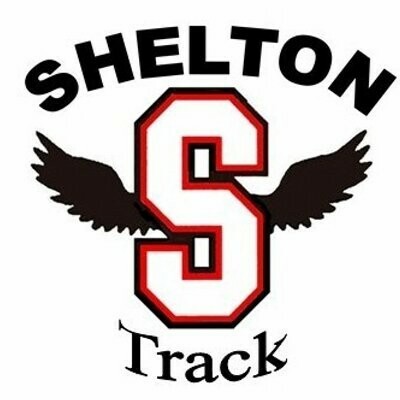 Also placing for the Owls were was Zack Thompson who finished 4th in the boys’ javelin and Isaiah Compton who was 7th in the discus. The North Mason baseball team exploded for 10 runs in the 6th inning on their way to a 13 to 7 win over Bremerton Friday. The Bulldogs pounded out 17 hits. Caden North led the way going 2 for 5 at the plate with two doubles and three RBI. Mason Fisher wasg 5 for 5 with an RBI and three runs scored. Troy McCormick was 3 for 4 with an RBI and a run scored. Trevor Deardorff was 3 for 4 batting in two runs and scoring a run. Ethan Collins went 2 for 3 with an RBI and a run scored. Gabe Navarro had two RBI. And Jakob Stark and Spencer Davis also batted in runs. The boys from Belfair improved to 8-and-7 on the season, 5-and-4 in the Olympic League. North Mason moved into 3rd place in the standings after Sequim lost to Port Angeles 7 to 1 Friday. 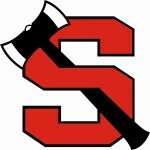 The Bulldogs have a non-league game against Napavine Saturday. The North Mason fast pitch softball team pounded Bremerton 17 to 2 Friday. The Lady Bulldogs jump on the Knights early scoring three runs in the 1st inning, eight in the 2nd, four in the 3rd and two in the 4th. The girls from Belfair had seven players with two RBI each. Amber Johnson was 3 for 3 at the plate with a double, two RBI and four runs scored. Jill Maiuri was 2 for 2 with two RBI and two runs scored. Tuesday Palmer was 1 for 2 with two RBI and a run scored. Taylor Hendrickson was 2 for 4 with two RBI and two runs scored. Kaylee Huffman was 2 for 2 with two RBI and a run scored. Carlie Craig went 2 for 4 with two RBI and 2 runs scored. Natalie Mathews was 1 for 2 with a home run, two RBI and two runs scored. And Emma Butler was 1 for 1 with a double, an RBI and two runs scored. North Mason improved to 4-and-7 on the season, 3-and-4 in the Olympic League. They travel to Kingston Monday. 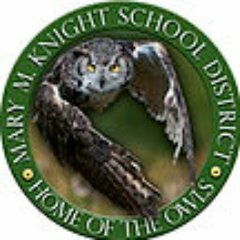 The North Mason boys’ track team split a dual meet with North Kitsap and Sequim Thursday beating the Vikings 75 to 70 but falling to the Wolves 88 to 53. On the girls’ side, North Mason lost to North Kitsap 116 to 30 and Sequim 75 to 44. Christopher Ramsey won the boys’ long jump and the triple jump. Carli Durbin won the girls’ javelin. Ryan Crookshank took the boys’ high jump. Posiulai Tupolo won the boys’ discus and was 3rd in the boys’ shot put. The relay team of Kira Schwerzler, Sierra Morin, Morgan Shumaker and Savannah Knutson won the girls’ 4×400. The relay team of Jacob Anderson, Christopher Ramsey, Anthoney Arreola and Reese Smelcer won the boys’ 4×100. Noah Hasselblad was 2nd in the boys’ 1600 meters. Grady Durbin placed 2nd in the boys’ shot put. Miller Campbell was 2nd in the boys javelin. Reese Smelcer finished 2nd in the boys’ long jump. Averie Dupont took 2nd in the girls’ 100-meter hurdles and 3rd in the 300-meter hurdles. The relay team of Seth Conner, Reese Smelcer, Ryan Crookshank and Dion Nanez finished 2nd in the boys’ 4×400. Kira Schwerzler was 3rd in the girls’ 200 meters. Morgan Shumaker took 3rd in the girls’ 400 meters. Kylan Slayton placed 3rd in the girls’ discus. Ryan Crookshank finished 3rd in the boys’ 800 meters. James Burch placed 3rd in the boys’ 300-meter hurdles. North Mason travels to Kingston next Thursday to take on the Buccaneers, Olympic and Chimacum. The Shelton boys’ soccer team blanked Timberline three-nil (3 to 0) Thursday. The Highclimbers have now won five straight and improved to 8-and-4 on the season, 7-and-4 in the South Sound Conference. They host North Thurston Tuesday. [LIVE VIDEO] Watch the Road Work & Construction Projects presentation at the Shelton Mason County Chamber of Commerce Luncheon. Hear about the current and upcoming construction projects in Mason County. 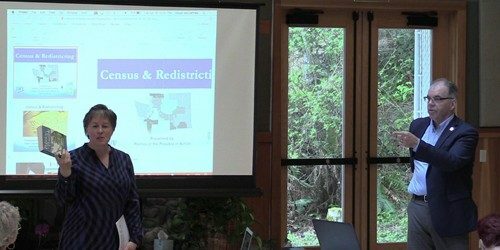 Guest speakers are WSDOT Assistant Region Administrator for Multi Modal Development and Delivery JoAnn Schueler, Mason County Public Works Interim Deputy Director Loretta Swanson, and City of Shelton Public Works Director Craig Gregory. An 85-year-old Allyn woman died in a two-car head-on crash on Highway 3 about a mile north of Shelton Wednesday. 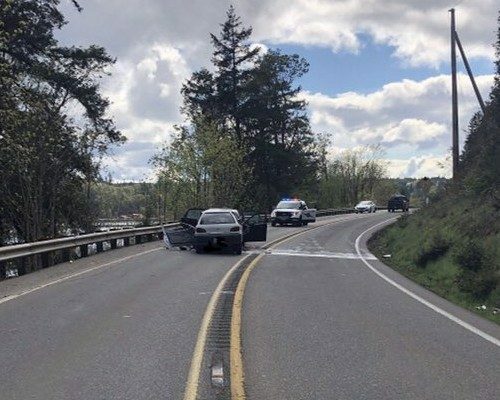 A press memo from the Washington State Patrol says a southbound 1995 Geo Metro crossed the center line near milepost 3.5 and struck a northbound 2009 Ford Focus head-on about 2:45 PM. State Route 3 was block for over five hours while Troopers investigated and cleared the scene. The North Mason baseball team slipped by Sequim Wednesday 2 to 1. The Bulldogs’ Gabe Navarro hit a walkoff two-run double with one out in the bottom of the 7th inning. Navarro was 2 for 3 at the plate. Brenden Kimball got the win for the boys from Belfair pitching seven innings, allowing one run on four hit while striking out seven and walking three. With the win over the Wolves, North Mason is now tied with Sequim for third place in the Olympic League with a 4-and-4 league mark. Overall, the Bulldogs are 7-and-7. They travel to Bremerton Friday. 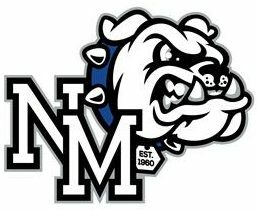 The North Mason fast pitch softball team couldn’t catch Sequim Wednesday as the Lady Bulldogs fell to the Lady Wolves 5 to 1. The girls from Belfair got a solo home run from Natalie Mathews in the 4th inning. Mathews was 2 for 3 at the plate. Amber Johnson and Kaylee Huffman accounted for NM’s other two hits. The Bulldogs improve to 4-and-7 on the season, 2-and-4 in the Olympic League. They travel to Bremerton Friday.